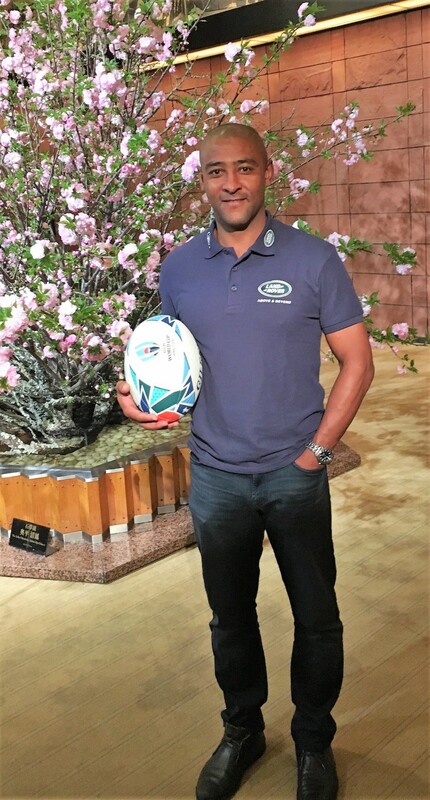 George Gregan and Jonny Wilkinson believe the upcoming Rugby World Cup will be a festival, the like of which Japan has never seen before, that will reap rewards for both the host nation and the sport. Gregan, who won the 1999 World Cup with Australia in Wales, and Wilkinson, who famously kicked England to victory four years later in Sydney, said Japan should embrace being the first non-traditional rugby nation to host the event. And they both hoped it would see the sport take off around Asia. "The World Cup is a celebration of what the sport provides...and the legacy that will be left here is the fact that there will be an incredible swell of international rugby supporters who will be blown away because I think this will be a super-competitive World Cup," Gregan told Kyodo News on a recent trip to Japan where he spent time in Sapporo and Tokyo in his role as an ambassador for World Cup sponsor Land Rover. "I think it will be one of the tightest World Cups ever and will be hosted in a way it has never been done before. It's going to be efficient, peaceful, so respectful but so enjoyable not just for what you see on the footy field but what people will experience off it. Because once you have the Japan experience it stays with you." Gregan, 45, spent three years at the end of his career, from 2008 to 2011, playing for Suntory Sungoliath and he hopes the rest of Asia will take notice of what happens in Japan in the fall. "The World Cup will have a positive influence in terms of exposing the game. The experience of having rugby here and what it can do and the quality of games will inspire and expose people to a sport that many will not have been associated with." Wilkinson, who joined French side Toulon a year after Gregan left to come to Japan, agreed with the former Wallaby scrumhalf that moving the World Cup away from the traditional powerhouses of the sport was a good step. 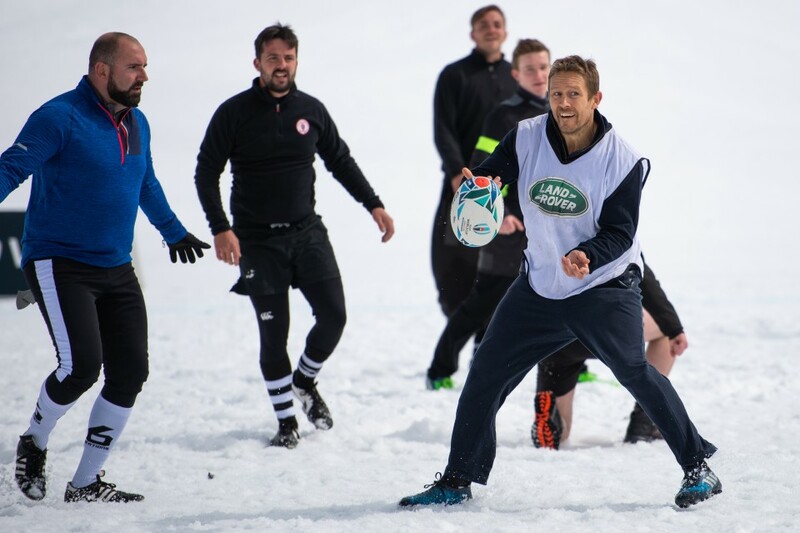 "It's enormously important that the World Cup gets to move its venue and be hosted in an area where rugby has not been so traditionally well-known," the 39-year-old former flyhalf told Kyodo via video from the French Alps where he was taking part in a game of snow rugby organized by Land Rover. "To let a country like Japan do what they do best which is bring attention to an incredible sport and play it the way that they do, which is 100 percent all in with nothing held back, and show what an amazing game (rugby is)." Both players said that while the role of host could weigh on the shoulders of the Brave Blossoms, coach Jamie Joseph and his players could also use it to their advantage as they look to make the quarterfinals for the first time. "The role of being a host nation can serve in many ways if you give it that power... But the danger is that as a host nation you play almost feeling like you should be doing well," said Wilkinson, whose extra-time drop goal in 2003 saw England beat Australia, coached by Eddie Jones and captained by Gregan. The Brave Blossoms open their campaign against Russia on Sept. 20, and Wilkinson said Joseph and his players need to be thinking along the lines of "If we only play four games at the tournament let's play four amazing games. Let's play one game at a time and see where it gets us. Let's not hold anything back for next week, we just go hard out now and see what we've got." "And I think if Japan can do that they can seriously turn some heads." Just as they did in 2015 when they famously beat South Africa and became the first team to win three pool games and fail to reach the last eight. Gregan, who won 139 caps for his country, said the Japanese players' ability to absorb information and their work ethic was key to their showing in England four years ago and he was hopeful they could repeat the trick. "The players in Japan work so hard and they don't complain. I was blown away by their thirst for knowledge and the thirst for improvement." Irrespective of whether Japan make their goal of the last eight, Gregan and Wilkinson said the six weeks would be a celebration of rugby and the host nation with Wilkinson saying "(It's about) showing what a nation can do with a tournament and what a tournament can do with a nation."